Wow! THIS is the 3B Lakefront home you have been waiting for!! New AC (2017), New Hot Water Htr (2018), Interior just completely repainted! 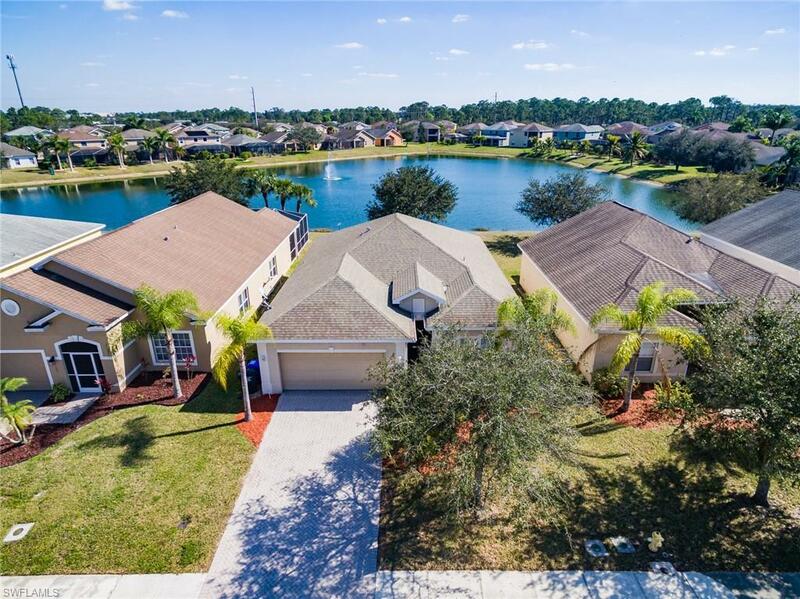 Enjoy the lakeviews thru out with this Wonderful OPEN CONCEPT home with kitchen & breakfast room all open to the spacious Great Room, sliders to the pavered lanai & a nice built in desk/computer area! Spacious Master bedroom with walk in closet, large master bath with soaking tub, separate shower & dual sinks. Split plan with 2 private guest rooms and guest bath. Pavered front entry, inside laundry room, nicely landscaped with palms and a beautiful oak out back, room for a pool & desirable southern rear exposure! Sherwood at The Crossroads is in a super convenient location - just a block and a half to Publix, Colonial & SR82, Shops at The Forum (Target, Home Depot, Starbucks, etc), short drive to FGCU, SWFL Int's airport & more! LOW LOW HOA Fees just $75/mo. !